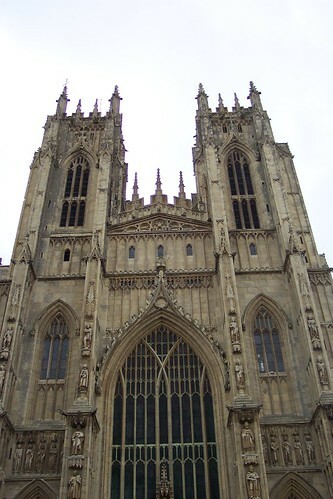 This entry was posted in England, Music and tagged Beverley, Beverley Minster, Bond Themes, East yorkshire, England, English seaside, yorkshire. Bookmark the permalink. So Hull is grim!! I lived in Beverley for 18 years – having moved from Surrey so my husband could take up a job at Brough. 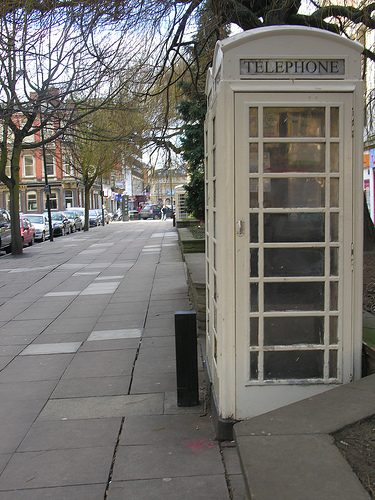 Have you been to Hull lately before you insult it? All the years I lived in Beverley I yearned for a decent clothes shop – it’s all little tatty boutiques that dress the horsey and scruffy – Beverley also has its own resident tramp singing away to a karaoke in front of the Push pub – (when the Queen visited Beverley in 2002 the police probably locked him up for the day!!!) and with teenagers blaring their music loudly at the bus station!!! Now I have been in Hull for 2 years, I have plenty of big name shops, St Stephens, Princes Quay, etc – so what’s new with Beverley?? Some new toff is also trying to stop the famous clock from chiming every 15 minutes, the Beverlonians won’t take too kindly to that!!! I should have known I’d get in trouble slagging off a town I’d never visited! Sorry about that – I was just being lazy and leaning back on the stereotype of what it’s like. Next time I go up I’ve been promised a trip to Hull, so maybe it’s time to have my perceptions overturned! Hello Geoff – thanks for your quick answer – you should never trust somebody else to tell you about a place till you see for yourself!! Hull is a looking-forward town, it has an amazing 3 fab shopping covered centres, St Stephens, Princes Quay and Prospect Centre, to name but a few, with the former 2 also housing a multi-cinema complex and all covered in glass which glistens in the sun!!! Famous brands, quaint street names, Land of Green Ginger springs to mind, and you can follow the fish trail from Whitefriargate to Old Hull. The Deep, the Marina, Queen Victoria Square, fab old historic pubs, we even have a premier football league now to complete the picture!! So please, do come and enjoy – and then you can comment on the place!!! Plenty of open spaces too, Queens Gardens are a gem – they provide the setting for Graduation Day photos, we have fountains, we have rivers, and also Hull City Hall and Hull New Theatre – where we have seen many a good show!!! Beverley had a beautiful historic Playhouse, I also enjoyed many a good film there, but the people got rid of it – the one best thing that made the town after the 2 minsters, in my opinion. I don’t particularly like Beverley much now as a floozy from the town ensnared my husband 7 years ago and we are now divorced, so good luck to her – my new man is from Hull and better by far!!! Well as a Londoner I’ve always been more of a city man than a country boy, so will have to visit Hull now, when i do you can be sure it’ll be making an appearance here, and who knows, I may even be making an apology! Well Geoff, make sure you send me an email when you come and I will show you Hull – or some aspects of it – the centre is too big to do in a day!!! You have to have a drink in front of Trinity House School and looking over the water at Princes Quay – it’s a sight you will never forget!!! It always amazes me how they built all that glass and how it holds together – it’s sheer genius!! can I just say Geoff it’s been 7 years since I left these thoughts – Hull has been selected to be City of Culture in 2017 and things are happening already (OK not fast enough but it’s a beginning). And as for the resident tramp – John Martindale – by co-incidence has died this week also – in a care home aged 70. He was front page news in the Hull Daily Mail as apparently he had finally turned his life around, but unfortunately he died of bowel cancer.